Friends recented visited us from Oahu’s North Shore, and shared a story about trying to buy a car on the mainland. “But why would someone go all the way to the mainland to buy a car?” you might ask. Sound crazy? Such are the logistics of living on an island. So our friends called around on the mainland, located the exact car (Jeep) they wanted right down to the color, and put down a deposit on their credit card over the phone. Then they bought plane tickets and flew to California with the intention of driving their brand-new car around for 10 days rather than having to spend the money on a Rent-A-Car. Except, that’s not what happened. They got to the car dealership and were told that their car has been sold. Seems the salesman was not allowed to take a deposit over the phone, as in, “We don’t TAKE deposits!” Our friends fired back, “Well someone here sure did!” But they apparently had put that salesman in the Jeep Witness Protection Program and wouldn’t let them talk to (yell at) him. Lots of negotiating ensued as our friends worked their way up the management food chain. They demanded their airfare be covered. They demanded money for a rental car, since they now had nothing to drive and hadn’t budgeted for a rental. On and on it went. But management wouldn’t budge. Our friends had to get on the phone and start all over trying to find the Jeep of their dreams. As luck would have it, they found one for less money, and it all came out okay in the end. But it was very tense there for a while–they probably got a few grey hairs. They still had all the time and paperwork of registering, licensing and then shipping the new car to Hawaii–and every person they talked to from the DMV to the dealership to the shippers gave them a different story. Quite the run-around. Just thought I would share this as one of the essential logistics of living in Hawaii: do we REALLY want to go try to find a car on the mainland, then have to ship it, to save about ten grand? And just in case you are wondering: we recently shipped a car from the mainland that was already registered in California. It was significantly higher to register it in Hawaii, as was the insurance. California charges for registration according to how old the car is (so the fee drops over time) and Hawai charges according to weight. I’m pretty sure my car weighs the same from one year to the next! So this explains why every year when I would say to Mike, “Doesn’t it seem like our registration should’ve gone down by now?” that I was pipe – dreaming. It’s not going to go down. 2) probably don’t believe, even after we explain it to them. One of those joys of living on a rock in the middle of the ocean! A hui hou. Mahalo for reading along. If you’d like to stay in the loop, please click the “Follow” button to the right, or on the Homepage. 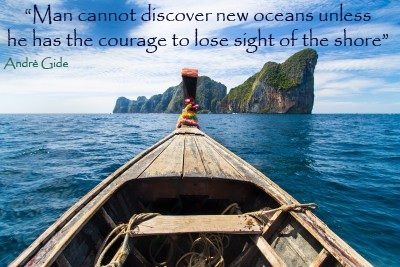 Which shore in our lives is it time to lose sight of? Very well put, Laura. You have summed it up nicely, especially the things you miss (Maui has more than Kauai, and I still wish there were more decent cafe-type places),the exorbitant restaurant prices, and we DO have that neighbor four houses down who has fifteen cars buried in his yard (yes, I counted.) I really miss neighborhoods where people take pride in their properties. As for why? Mike grew up in Hawaii, and all the guys he knows are hoarders of misc. junk. The reason they give is growing up in the islands, you never knew when the boat might not come in, and every single thing they bought was so expensive that they refused to throw anything away. They all have barns, sheds, warehouses full! It’s our big struggle as a couple. He hangs on to everything! Laura, you didn’t share where you moved from, or what type of jobs you and you husband found. Please share if you would like. I’m sure readers would like to have the full picture. Again, thanks so much for writing!